A roller coaster slot with a fast gameplay and attractive bonus features. With two wild reels during the free spins bonus and 30 active pay lines big wins are a spin away. 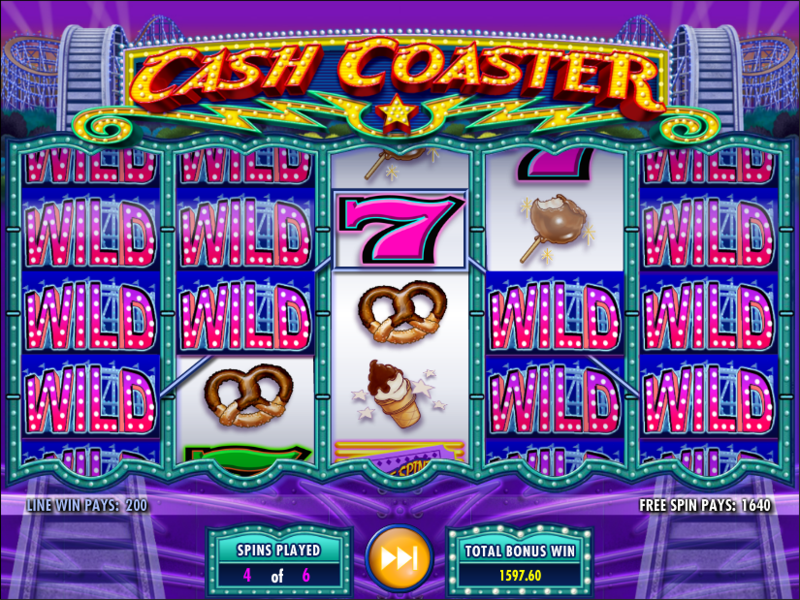 Cash Coaster is a video slot coming from IGT. The slot takes you on a wild ride across the reels where you can score great payouts with some help of the Sevens. With two wild reels during the bonus round players can easily land that elusive 5 of a kind win for a top payout of 150,000 coins. 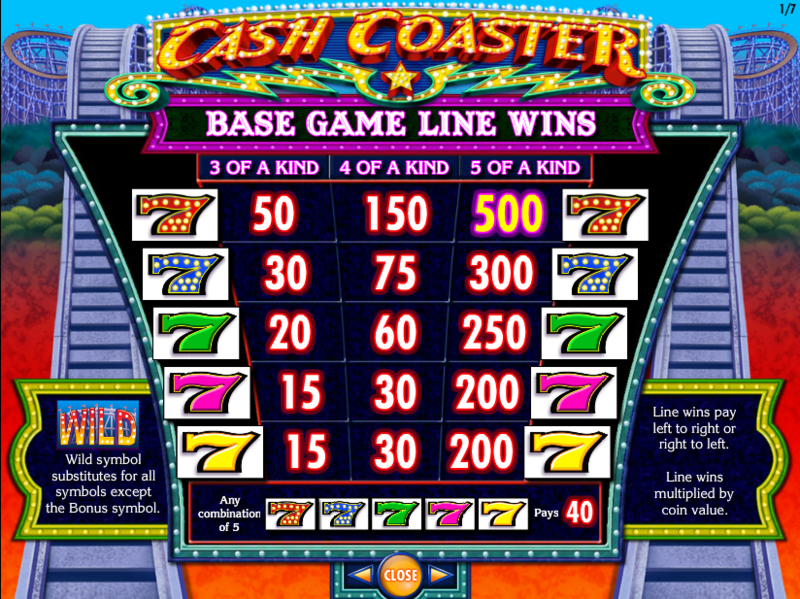 Cash Coaster is a video slot inspired by the roller coaster as one of the most exciting rides in the world. The designers also added some other symbols which are a common sight at carnivals, but stayed true to the classic slots by adding five Sevens as the top paying symbols in the game. The visual details are decent with some modern animations and symbols with a medium level of details. The gameplay in Cash Coaster is pretty fast and exciting thanks to the bonus features of the game. During base play players can get one or two wild reels on reels 1 and 5, so with some luck you can land a decent 5 of a kind win on the screen. But the real excitement starts once the free spins bonus round is triggered. Winning combinations on the reels are formed from left to right and right to left so you will often get small to medium payouts on the screen. 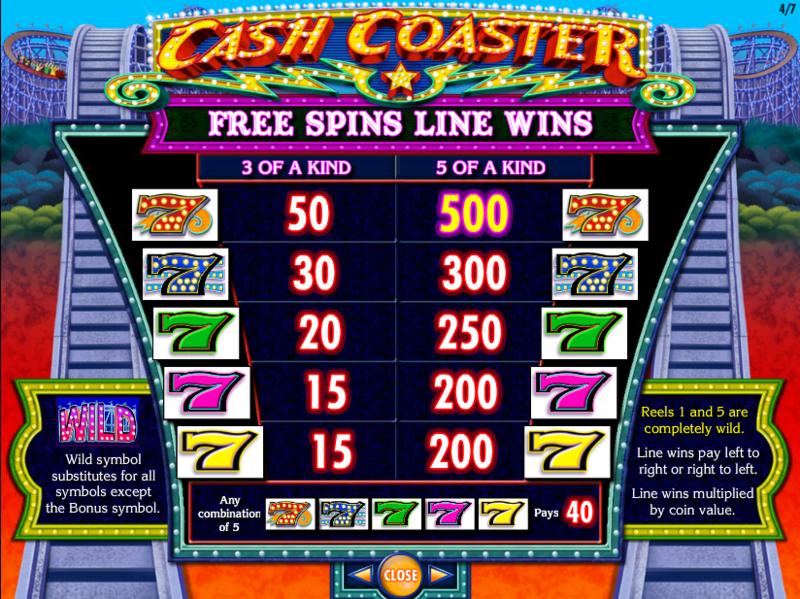 Cash Coaster is a 30 payline slot with 5 reels and 3 rows. 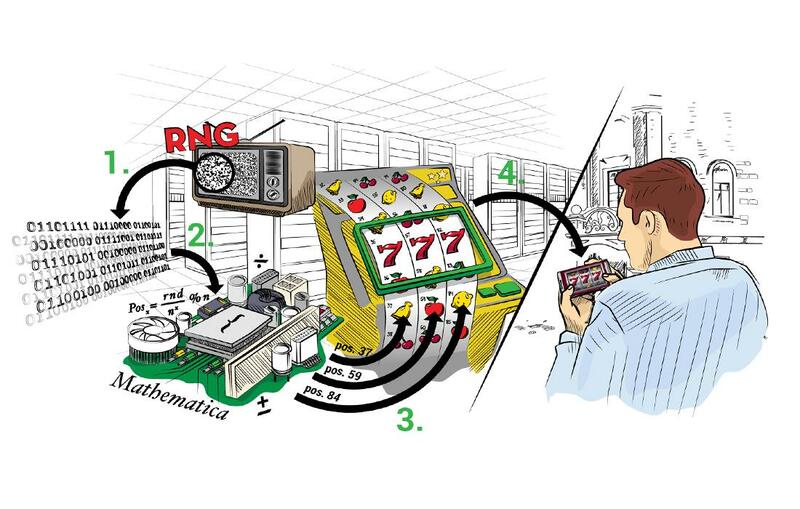 The bet size in the game ranges from $0.40 to $2.000 per spin at some casinos. The extra $0.10 to $500 per spin goes towards the special game feature, which adds the possibility to create winning combinations on all 30 paylines not only from left to right, but also from right to left. The top payouts in the slot come from the five Sevens symbols and can range from 200 to 500 coins for 5 of a kind wins. The RTP value in the slot is set at 96.06% and the game has a medium variance. On any given spin during base play the Roller Coaster Wild feature can be triggered. In this feature reel 1 or reel 5 will be Wild Reels. You can even get both reels to turn Wild at the same time bringing you one step closer to a big win. The Bonus symbol in the game can land only on reels 2, 3 and 4. When this happens the free spins bonus is triggered and the player is awarded with a payout of 30 coins. 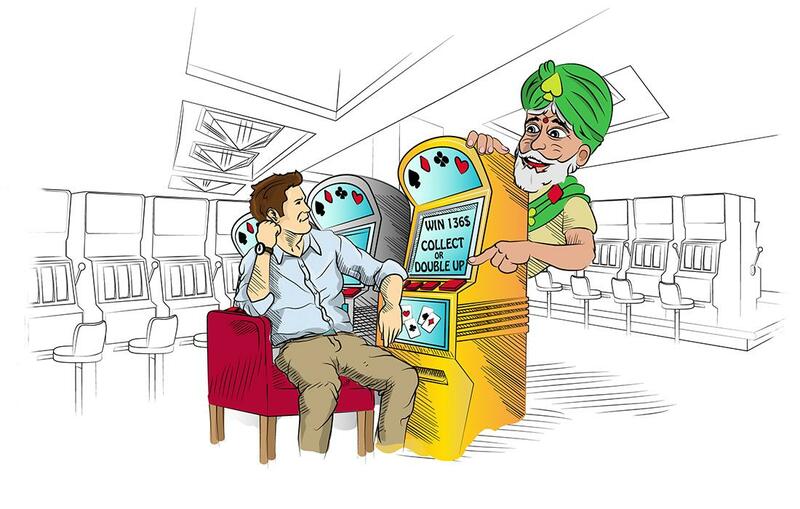 You will need to choose one Ticket Booth and in return you will get 4, 5 or 6 free spins. During the feature reels 1 and 5 are turned wild. The bonus round can be re-triggered with another set of 3 Bonus symbols, awarding the player with an additional 4, 5 or 6 free spins. 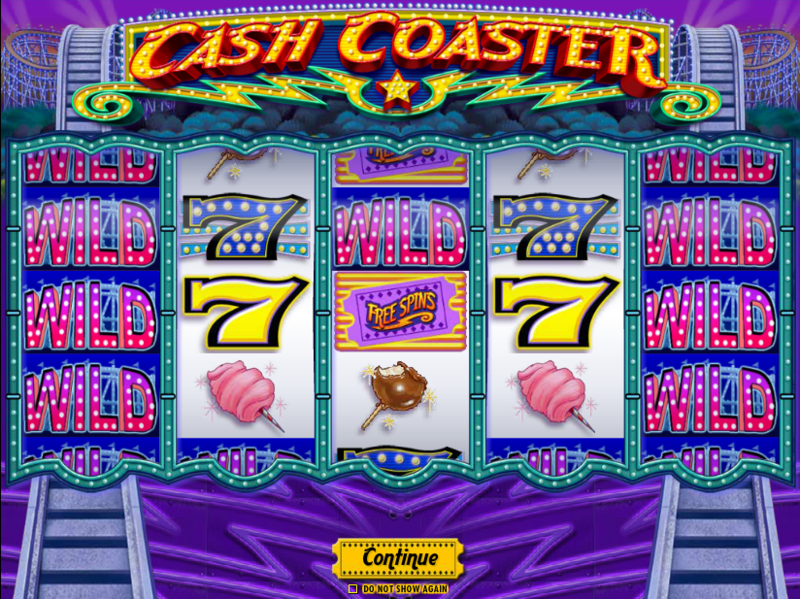 Cash Coaster is a fun slot with a fast gameplay which perfectly corresponds to the game’s theme. 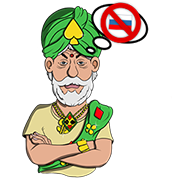 The designers added a great set of bonus features which make base play exciting and can produce big payouts during the free spins bonus. Thanks to the medium variance of the game the free spins bonus is relatively easy to be triggered and can significantly increase your balance.